iPhone battery replacement at the iPhone Professor is only $40. We guarantee our work and offer a 6-month warranty on all batteries. 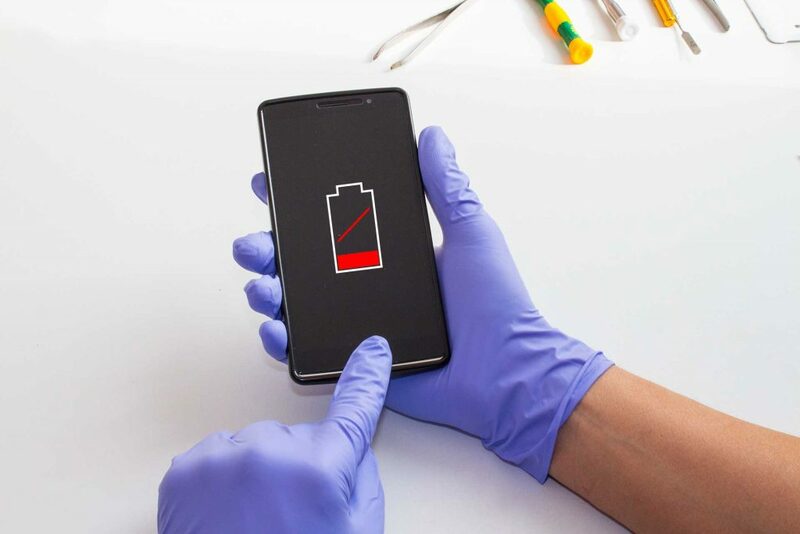 The Professor can do most iPhone battery replacements is 15 minutes or less. We use OEM (Original Equipment Manufacturer) batteries as well as OEM parts for all our iPhone repairs. The iPhone Professor not only replaces iPhone batteries, but is able to do battery replacements for the Macbook, Macbook Air, Macbook Pro, and PC lap tops as well. Prices for these battery replacements will vary so please call to get a firm price. Charge battery to 100% every time you choose to charge your iPhone. Try not to let iPhone battery fall below 20% before charging up again. Do not expose the phone to extreme heat or cold for prolonged periods of time. This can destroy the battery life. For the active Bend-dite this may be easier said then done. Poor battery performance may not be an issue with the iPhone battery at all. It could be an issue with the phone’s charge port, the USB cord, or it could even be a software issue! At the iPhone Professor we will explore what the issue is with your iPhone. Then we will explain in simple down to earth terms what your options are with up front pricing. The iPhone Professor is a small family business that has relied on a solid foundation of quality work, transparent pricing, and unmatched customer service. Come in and see how the iPhone Professor is changing the “Tech” industry one client at a time.